Loud they may be but damn proud with it, and while the estranged Gallagher siblings still currently remain on hiatus as far as Team-Oasis goes, the smart money still lingers on this pair of reprobates getting back to what they do best working together! But while we wait this classic box set of films - three in all, count em - brings the whole Oasis/Gallagher Brothers story back into the light. 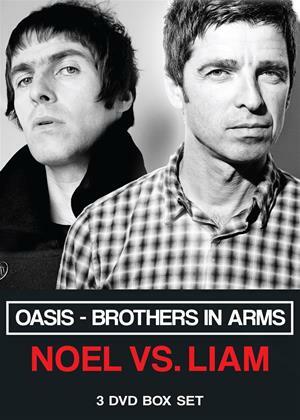 Featuring documentary and interview footage of Noel and Liam at work, rest and play, and waxing lyrical about everything under the sun - not least each other - and with oodles of the music which made this duo the force to be reckoned with that - despite it all - they most certainly remain, this collection will help while away the hours until the glory days of Knebworth, Slane Castle and Main Road come round again when these two dynamic and unique performers once again share a stage.